This article builds on ideas written about in three earlier blog posting: Pi, Passwords (specifically PIN numbers), and De Bruijn sequences. Ingredient 1: In 2013 I wrote an article about how “spectacularly unimaginative” people are when selecting their passwords. I even got asked to turn this into a TEDx talk (which was a fantastic and humbling experience). … even your ATM card PIN! Ingredient 3: De Bruijn sequences. Using the same principles I demonstrating with De Bruijn sequences (using a sliding window of contiguous digits), I was curious how many digits of Pi would you need so that every four digit PIN would be encountered at least once.  The first four digit PIN is 1415, as these are the first four digits in the decimal representation. Each time we move the slider along we encounter a PIN that comprises three digits from the last PIN (shifted left), plus a new digit on the end. Obviously, there will be some repetition. In fact the first repetition occurs very early on. The digits 0582 occur in position #50, then shortly afterwards in position #132. Here is a scatter plot of the results. On the x-axis we have each of the PINS (from 0000 on the left to 9999 on the right). The y-axis shows at what position in the decimal digits this PIN first occurs at. Interestingly, there is one massive outlayer, and this is the PIN 6716. This occurs first starting at digit position #99,846. (The shortest possible arrangement of digits is 10,003 characters). If we expand the analysis to five digit PINs, then the furthest distance discrete PIN is 33394 which occurs way out at #1,369,560. For six digit PINs, the furthest distance discrete PIN is 569540 which occurs way out at #14,118,307. If you are looking for when 8675309 occurs, than I'm pleased to tell you it first appears at position #9,202,591 of Pi.